This entry was posted in 1970s, 1980s, classic Pop, Jukebox Jive, Music, Ska and tagged Absolutely, Grey Day, Madness, Mark Bedford, My Girl, One Better Day, One Step Beyond, Our House, Robert Wyatt by Thom Hickey. Bookmark the permalink. Thanks Ian. He was a delight to talk to. Regards Thom. What a great interview. Good work!. I love when he talked about influences and likes. All the better when they jive with your own. I was around at the beginning and ate up ‘One Step Beyond’. I stuck around for a few albums but am unaware of newer stuff. A quest for CB and thanks for the leads. 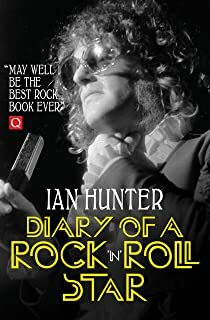 Ian Hunter rocks!! Thanks CB. Mark’s a great guy. IH to feature here before too long. Regards Thom.